The Bertie Bunk may also be split into two single beds. The frame is silver and has flat ladder treads. 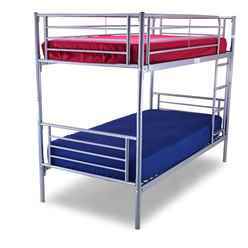 This bunk bed will fit perfectly into a room which is short of space.. It's plain design will look great in any bedroom.